Justin Sandercoe started teaching guitar online way back in 2001 offering examples of lessons students might get in his one-on-one lessons. He was quick to realize the potential of online video and started posting video lessons on YouTube in 2006 and since then has clocked up over 350 million views of his YouTube videos and has over a half a million subscribers to both his channels! He receives over 30,000 unique visitors to justinguitar.com every day from every corner of the planet and from all parts of society!! With many accolades in both the traditional press and new media, The Independent newspaper calls him "one of the most influential guitar teachers in history" and guitar legends such as Brian May and Steve Vai sing his praises. 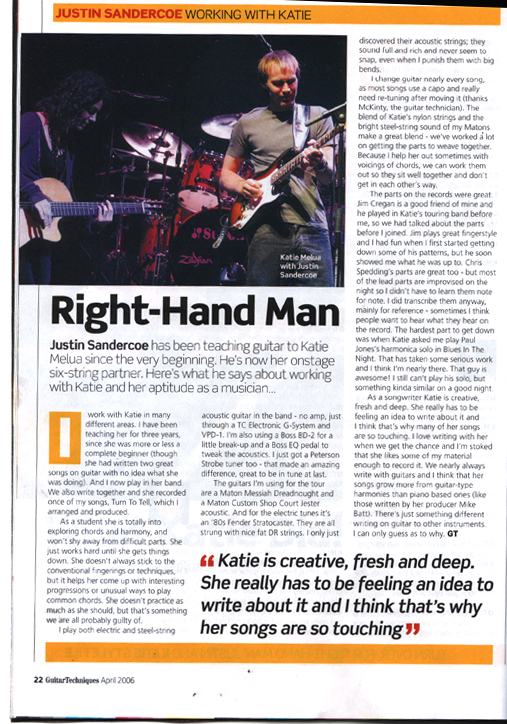 Mark Knopfler says "If you told me you wanted to get going on guitar I'd recommend Justin Sandercoe." Before teaching millions of guitar players online, Justin taught in the flesh at The Guitar Institute (now the Institute of Contemporary Music Performance) in London and has a long-running column (Food For Thought) in Guitar Techniques magazine. As well as teaching he plays in the band We Came As Strangers and previously worked as sideman in the Katie Melua band. He has also worked with pop songwriter Cathy Dennis, French supermodel and singer Carla Bruni and many others. Wanna know more, then just check out well over a THOUSAND COMPLETELY FREE GUITAR LESSONS - just have a browse around the site. Justin Sandercoe is a UK based guitarist who grew up in Tasmania (an island off the South East coast of Australia) but has been based in West London since 1996, though moved out to the countryside in 2017. He started playing guitar before he can remember and started performing with rock and blues bands at age 12 and started teaching shortly after. By the time he began studying classical guitar at The Tasmanian Conservatorium of Music aged 18 he was already playing in funk and rock bands (often 5 gigs a week) and teaching over 30 private students every week. He moved to London in 1996 to study (on a scholarship grant from Arts Tasmania) at the esteemed Guitar Institute in London where he started teaching a year after graduating. After 9 months playing in a Butlins holiday camp band to earn some money (student life left him skint! ), he began touring with Rolling Stones Tribute band The Counterfeit Stones. He left in 2005 to tour with soft jazz pop songstress Katie Melua with whom he toured the world playing big theatres and arenas (including the incredible Live Earth concert in 2007). He was working a lot on the web site while on tour but decided to quit the touring life and settle down and work on the web site, writing and recording in 2009. He currently plays with the Trip-Hop band We Came As Strangers, who released their debut album Recipe For Adventure in early 2013 followed by Shattered Matter (2014) and then Eyedom (2015). His recording and filming studio "Broken Arrow #4" is located in Surrey (an hour south-west of London). JustinGuitar.com first went live in July 2003 as a small website offering a few lessons as a sample to promote private lessons. It grew steadily over it's first few years, with Justin often adding content to keep himself occupied while on tour, much of it done on a laptop in hotel rooms around the globe. After seeing the popularity of YouTube, Justin began making instructional guitar videos in December 2006, initially filmed and edited by his friend Jedi. In Feb 2018 his YouTube instructional videos have been watched over 355,000,000 (yep that's 355 million) times and the website receives well over 30,000 unique visitors a day! It has received many accolades in both the traditional press and new media as well as radio and TV shows. Often cited as the best guitar instruction to be found anywhere online, by keeping it completely free he has given the opportunity to learn guitar to everyone - the shy, the poor and those simply too busy to make regular lessons. The approach is patient. Learn one thing well and be able to use it before you learn more. The method works, and many hundreds of thousands of people around the world have benefited from the lessons on the site. The Independent newspaper said that he is "One of the most influential guitar teachers in history". 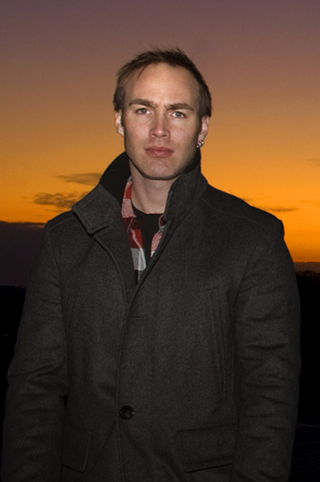 In 2007 Justin started Chocolate Cake Productions with friend Jed "Jedi" Wardley to release his instructional DVDs. Jedi started out as camera man for the early videos but now looks after the official store where we sell DVDs, Books, T-Shirts and guitar accessories. 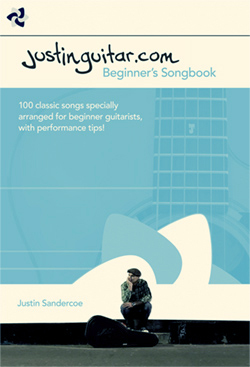 After partnering with sheet music giant, Music Sales Ltd, The Justinguitar Beginners Songbook was released in July 2011. It sold faster than they could be printed, and over 5000 copies were sold in the first few weeks! Since then 13 further books have been published with sales into the hundreds of thousands and glowing reviews all over the web. See all his books on The JustinGuitar Store. Justin has quite a few apps available too - he partners with Leafcutter Studios for the development of all his apps (except one!) and with Musopia for The JustinGuitar Beginner Song Course. Justin formed the band in 2013 with 3 of his favourite musician friends. 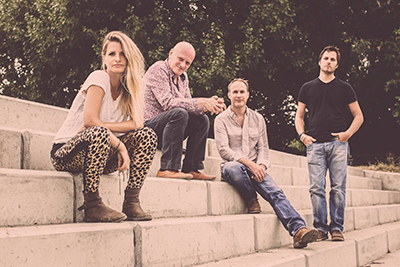 They got together in a converted barn in Dorset and wrote and recorded their first album Recipe For Adventure in just 2 weeks. Katie and Justin recording at Abbey Road Studios in 2006. Justin produced and wrote tracks for Katie Melua and played electric and acoustic guitar in her live band between 2005 and 2008. He also taught her guitar from the start of her career. Her fabulous performance of his song Turn To Tell was available as the b-side on the Call Off The Search UK single. The song can also be heard on the South African release of the album Call Off The Search, which earned Justin his first platinum disc. Justin is also featured in the video clip of the same song, found on the bonus DVD of the UK album release. A live DVD with Justin in the band from the 2006 European tour has been released as a bonus DVD with her second album Piece By Piece, (available at Amazon). Between 2000 and 2005 he played over 1000 shows with The Counterfeit Stones (Rolling Stones tribute band) including supporting Bryan Adams at the Ajax Arena (Amsterdam), a sold out Albert Hall headline, The Shepherds Bush Empire and numerous TV and Radio appearances. You can see a bunch of performances here! 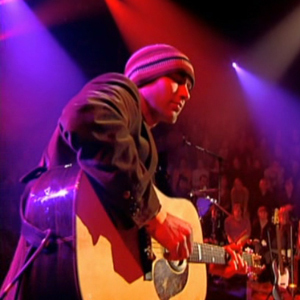 A live performance on French TV show, Taratata. Justin was featured in a double page article by Rhodri Marsden in The Independent newspaper in March 2010 titled "The Million-Scholar Video Stars" with the quote "one of the most influential guitar teachers in history". In February he was featured in The Metro (London's largest free newspaper) "Brit guitar hero's 58 Million YouTube Hits", and this lead to news stories on the Channel 5 news in the UK and Ten News in Australia. He has been featured (with Katie Melua - see article here) and written for Guitar Techniques, Total Guitar, and been featured in Guitar magazine (with The Counterfeit Stones). NPR Radio, in the US, also did a story about Justin on YouTube here. In 2009 The Telegraph newspaper described Justin as one of "Britain's hottest internet celebrities". When not doing guitar stuff, I travel as much as I can, it's my favourite thing to do... however life changed with the birth of my daughter Vivienne and we're yet to start on travelling again - but will be very soon! I'm into keeping fit, I do CrossFit 4 times a week and love running and try and make it out a couple times a week for trail running in the local forest. I ran the London Marathon in 2014 and quite a few half marathons in previous years. Other hobbies include alpine mountaineering and rock climbing but they're both on hold for now. I live with two wonderful cats, Smokey and the Bandit, they are both scared of my guitars but tolerate our family living in their house which is nice. I used to love riding motorcycles but sold my beloved BMW R1200GS after my partner came off her scooter a few years ago. 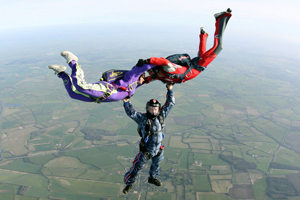 Probably my coolest brag is that I was really into skydiving for a few years but I stopped in 2008 and replaced it with scuba diving, which I don't get to do as often as I'd like. I have a rather unhealthy obsession with chocolate and order new and interesting flavours from every corner of the globe. I don't like wine, garlic, mushrooms or blue cheese (so moving to France isn't an option!) but I love craft beer, bbq's and eating proper healthy cooked meals (I really should move back to Australia then!). Thanks for stopping by and I hope you dig all the lessons here. In the pix above I am in the red. For further information, a press pack or hi-res images please contact Justin.